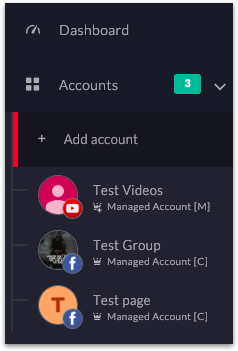 Team Management feature is extremely useful if you want someone else to schedule streams on your social accounts (e.g Facebook Page, YouTube channel etc) but do not want to grant them admin rights on the social account. If you add someone to your team, you will be the team owner and the person you added will be your team member. Your team member can then schedule streams on the social accounts you have given him/her access to. The team member should have OneStream account. In case the team member is not a OneStream user, he/she will get an invitation via email when you add them to your team. The team member can select between his/her own account or team&apos;s account to stream, when a team member schedules a stream on a managed account, the duration of the stream will be based on the subscription of team owner. You can grant two types of roles to a team member on your social accounts. When you add a team member to your social account, in the team member’s dashboard that social account will appear as Managed Account. 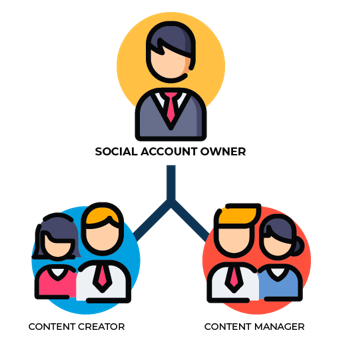 A team member can be added as Content Manager or Content Creator. How to revoke team member&apos;s access from a social account?